After a record-setting 11 nominations, Call Me By Your Name has won the International Cinephile Society’s Best Picture of 2017. 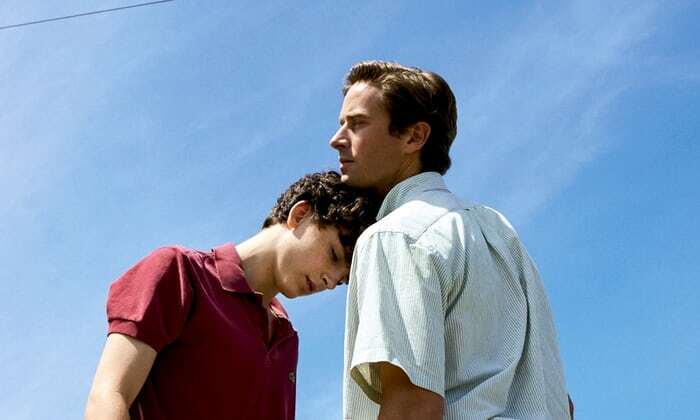 The film also took top honors for Best Actor (Timothée Chalamet), Best Supporting Actor (Michael Stuhlbarg) and Best Adapted Screenplay (James Ivory). Giving tremendous chase though was Paul Thomas Anderson’s Phantom Thread. In fact, the two films completely dominated the top eight categories. Phantom Thread won Director, Actress (Vicky Krieps), Supporting Actress (Lesley Manville) and Original Screenplay (Paul Thomas Anderson) and was the group’s top winner with five awards. Other multiple winners included the 90s-era French AIDS drama BPM (Foreign Film, Ensemble) and Blade Runner 2049 (Cinematography and Production Design). Good Time found itself with the Film Editing win and a pair of runners-ups and The Lost City of Z was also a double-bridesmaid. This year, the International Cinephile Society (of which I am a voting member) created a special 15th Anniversary Award for their all-time favorite best picture. All 14 prior winners competed in final-round voting, where Leos Carax’s Holy Motors came out victorious. Here is the full list of winners and runners-up and the Best Picture ranking. Formed in 2003, the International Cinephile Society is an online group comprised of approximately 100 accredited journalists, film scholars, historians and other industry professionals who cover film festivals and events on five continents. Led by ICS president Cédric Succivalli, each year the ICS honors the finest in American and international cinema. In addition to award winners for the previous year announced each February, the ICS revealed a Top 100 Films of the 1990s in the first half of 2010. ICS has been accredited at the Festival de Cannes in 2010-2017, and also covers a number of other film festivals including Berlin, Toronto, New York, Vancouver, Rome, Venice, San Sebastian, San Francisco, AFI, Seattle, Rotterdam and TCM.